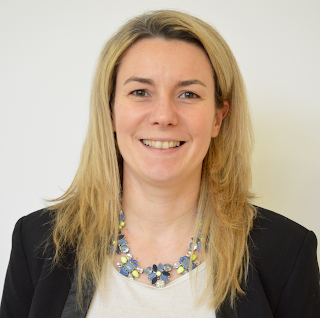 This month our Spotlight is on Finance Director Kirsty Sutton. I run the Finance team and manage the day to day operations of the company. Overseeing Customer, Supplier and employee relations, managing cash flow, accounts preparation and attending to the bulk of the legal and compliance side of running a business. I held a very similar role as Finance Director at POSTcti for 8.5 years before it was bought by InterCall UK. Prior to that I trained and worked in practice at HW Leeds as an audit senior (Chartered Accountant). What’s the team’s focus this year? As ever it’s to ensure the company systems and processes run smoothly. There is no such thing as a normal day for me, which is why I enjoy the job so much. Over a year there are VAT returns, payroll, management accounts, payment runs etc that all need to be done in a timely manner. We keep the wheels turning in the back ground keeping the billing and customer service elements working. I enjoy all of my role; if I had to choose one element it would be managing my team. What do you do on those days you’re not in the office? As the mum of 2 young girls I’m kept busy providing taxi services to various sports and social activities for the kids! I also enjoy keeping active myself doing a bit of running, gym work and weekly Pilates classes. In the last couple of years I’ve also taken on the role of school governor at the local primary school which the girls attend – unsurprisingly I’m on the finance and resources committee! Chocolate, family holidays and gin!